Cauliflower is a cruciferous vegetable that has been found to have numerous medicinal benefits. It is a great source of dietary fiber, contains a high amount of antioxidants, its omega-3 fatty acids and vitamin K help prevent chronic inflammation, it has a good amount of B vitamins including folate, niacin, riboflavin, pantothenic acid and thiamine, and it is low in calories. Cooked or raw, cauliflower is a perfect addition to lunch or dinner, and can be enjoyed all year round. 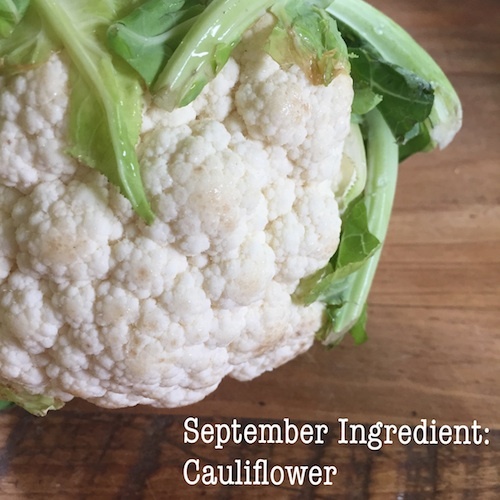 As September arrives, and weather becomes slightly cooler, take a look at these great ways to enjoy cauliflower. Switch out from the usual steaming or boiling of cauliflower, which can make it waterlogged and loose it’s flavor, by roasting it. Found on a growing number of restaurant menus, roasted vegetables are quickly becoming the preferred preparation method for home cooks as well. The dry heat of roasting does wonders to the flavor, coaxing out and concentrating the flavors. 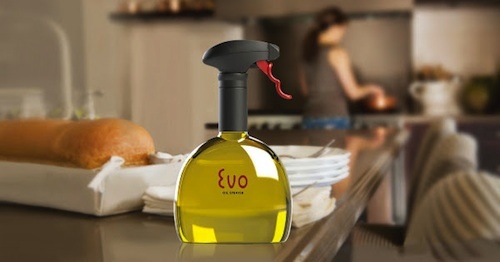 To make, simply slice cauliflower lengthwise and place on a Mrs. Anderson’s Savory Roasting Mat, spritz with olive oil using the EVO Oil Sprayer, and sprinkle seasonings of your choice. Place in a preheated oven at 400 degrees F, and roast until darkened and soft. 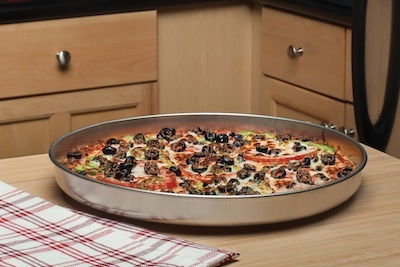 Enjoy pizza night in a popular new way – with a rich, grain-free cauliflower crust. Whether you’re seeking to add more low-carb recipes to your diet, or are looking for exciting new flavorful recipes to mix things up from your stand-by flour-based pizza crust, the cauliflower pizza crust is a delicious way to mix things up on pizza night. 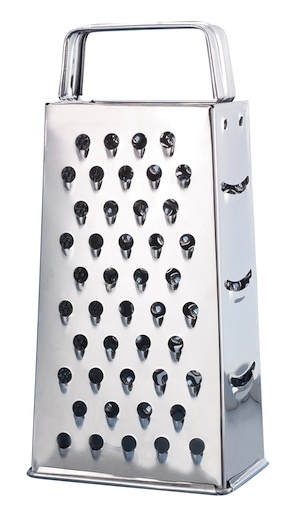 Click here for an easy recipe. Don’t just think of cauliflower as a vegetable side dish for dinner. Like so many vegetables, cauliflower is a great addition to your baking recipes, too. Try these easy-to-make Cauliflower Cheddar Muffins for a mid-day snack, to complement an omelet at breakfast, or for a dinner treat. Store uncooked cauliflower in a paper or plastic bag placed in the crisper section of the refrigerator. There, cauliflower can last for up to two weeks. Be sure to make perforations in the plastic or paper bag and store cauliflower stem side down so moisture does not develop in the curd. 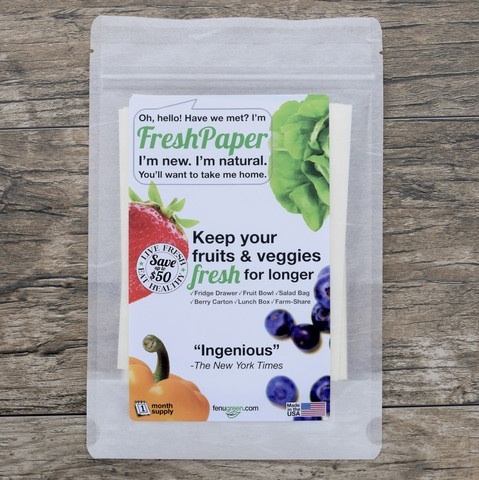 Add in one sheet of FreshPaper to help keep all your fruits and veggies fresh for longer. For more information on these great products from HIC, Harold Import Co., contact your sales rep, or call 800-526-2163. Media contact, Laura Everage leverage@haroldimport.com. This entry was posted in Useful Tools on August 28, 2015 by HIC, Harold Import Co..